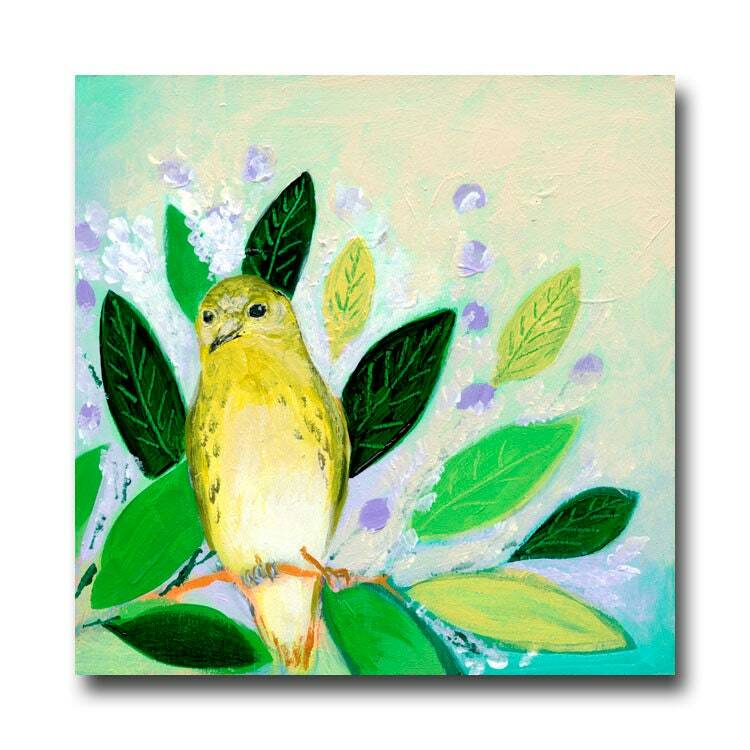 Painting No 16 in the Series is a little yellow bird, and would make a beautiful addition to a home and a great little conversation piece! It is painted as part of a collective called, "The NeverEnding Story". 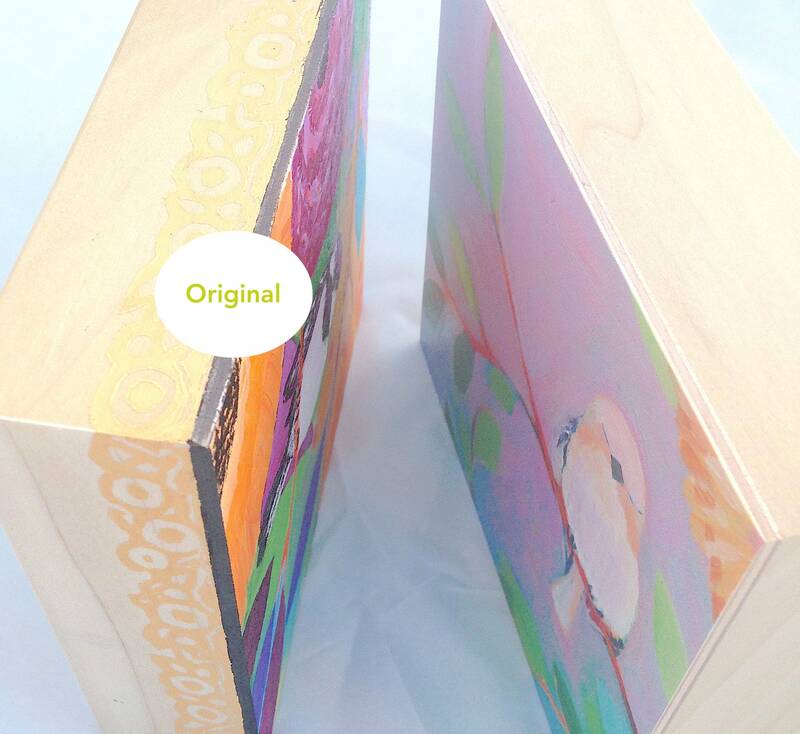 Each block in the series is a stand-alone individual painting as well as part of a larger tree image. Each position in the tree may be painted multiple times with different subject matter as the tree was re-filled when paintings found new homes to enjoy. This painting, however, is the last one of its position as a part of the "Final Chapter" in the series. The block number indicates the position in the tree, numbered top to bottom, left to right. The Final Chapter in the Series is the last version of the tree that will be painted in this series.